What makes us different than any other training facility in New York City? Our innovative synthetic skating treadmill. Used by many NCAA college hockey programs and professional teams, the skating treadmill will undoubtedly take your game to the next level. Our treadmill is speed adjustable up to 28 mph and has a 45 degree inclining variability. 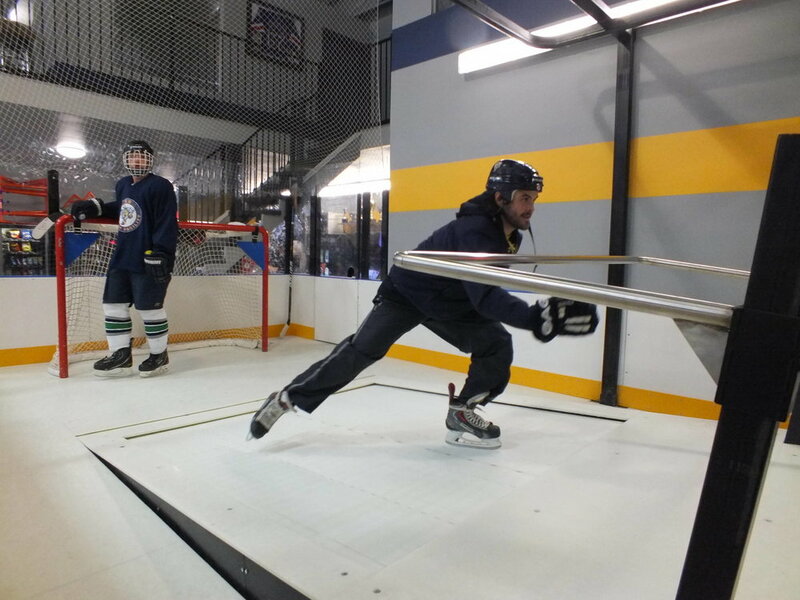 Along with these features, the 12ft x 22ft regulation board/glass enclosed treadmill training area includes synthetic plastic ice surrounding the 7ft x 8ft treadmill and an NHL sized net. This diversified hockey training tool focuses on all aspects of the game: strength, conditioning, puck handling skills, shooting, passing, endurance and stamina.